Truly wonderful characters & expression! Their enthusiasm is contagious! Love this style! 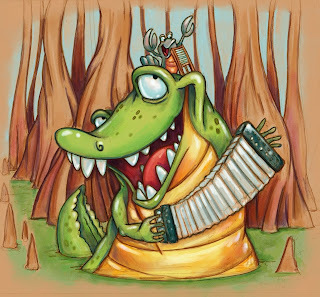 Oh my gosh I love the crawfish with the washboard. 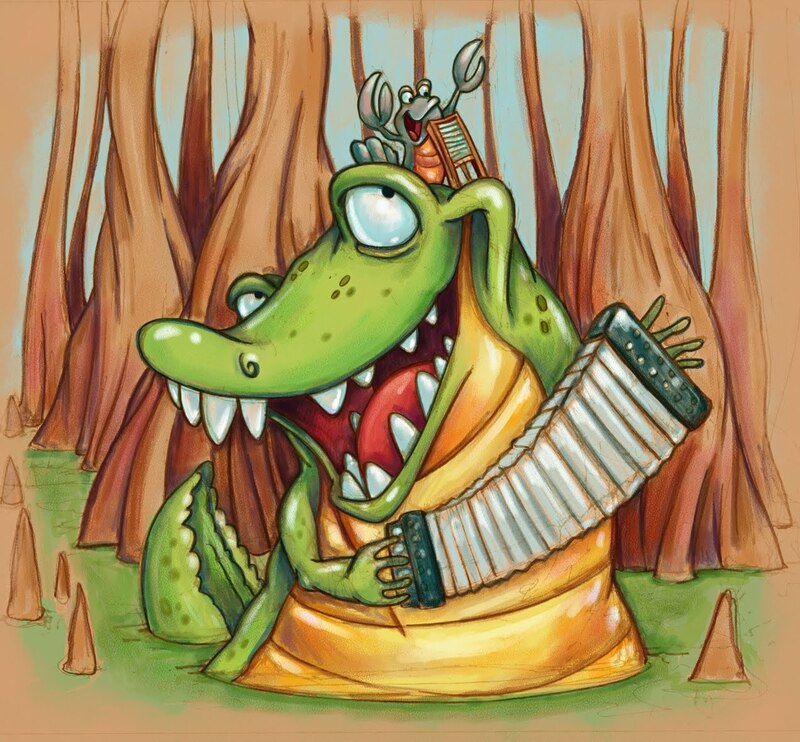 Wonderful expression on the gator. What fun! I love the pure joy in their faces! Hi Scott, very nice work!